Dyscalculia is something you are born with. Someone with Dyscalculia has specific difficulty with numbers, despite good performance in other areas. Dyscalculic learners may find understanding simple number concepts difficult as the condition affects their ability to acquire arithmetical skills. The latest studies estimate over 5% of the population has Dyscalculia, equating to more than 3 million UK citizens. Most have never been diagnosed. 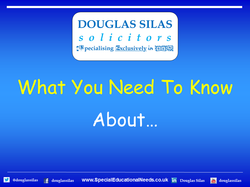 Dyscalculia is found in people from all backgrounds, cultures and levels of intellectual ability. It is believed that 4% of children are severely Dyslexic and a further 6% are affected at the mild-moderate level in literacy. Interestingly, about 40% of Dyslexics also have Dyscalculia. While Dyslexia is now widely recognised in the area of literacy, in the area of numeracy it is most definitely not. Dyscalculia has only recently been recognised, in the same way Dyslexia was 30 years ago. Many people have been labelled (or label themselves) stupid because they can't do 'simple sums'. These difficulties may well affect their life skills as well as their academic achievement. "WHAT ARE THE SYMPTOMS OF DYSCALCULIA?" Dyscalculic children are troubled by even the simplest numerical tasks: selecting the larger of two numbers, counting the number of objects in a display, and activating the meanings of numerals. In its most severe forms, children cannot learn to tell the time, know the date, shop competently, nor do even very simple arithmetic. Dyscalculic children can usually learn the sequence of counting words, but may have difficulty navigating back and forth, especially in twos, threes or more. They may also find it especially difficult to translate between number words, where powers of ten are expressed by new names (ten, hundred, thousand) and numerals (where powers of ten are expressed by the same numerals but in terms of place value). Dyscalculic children find learning and recalling number facts difficult. They often lack confidence even when they produce the correct answer. They also fail to use rules and procedures to build on known facts. "HOW CAN YOU HELP SOMEONE WITH DYSCALCULIA?" Asking dyscalculic children to answer maths question in public, so difficult for them, but easy for the rest of the class, will inevitably lead to embarrassment and frustration. Being unable to do what their classmates can do with ease, can lead to anxiety and, from there to avoidance. Avoidance of number work will, of course, make things worse, and the children will fall farther and farther behind. Dyscalculia is a special need, and children will require diagnosis and appropriate support away from whole class teaching. Compared with Dyslexia, very little research has focused on the problems of Dyscalculic children's difficulties and how to overcome them. We are not sure whether there is just one form of Dyscalculia or several, and therefore whether different approaches may be needed. It is likely that Dyscalculic children will need one-to-one teaching to support what they learn in the classroom.